CHICAGO (WLS) -- Heading to the beach in Lake County this summer? A new mobile app will indicate whether it's safe to swim. 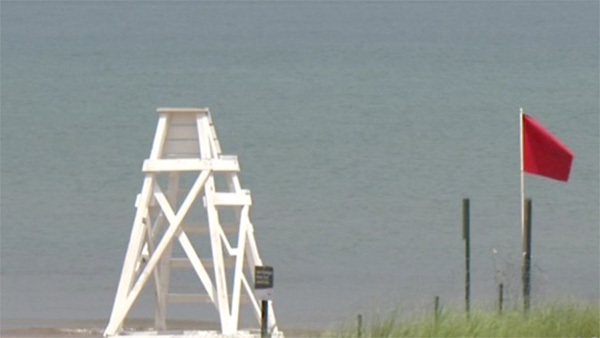 From Memorial Day to Labor Day, the Lake County Health Department will post information online about Lake Michigan swim bans. The website will be updated by 10 a.m. each day. Beachgoers can access these updates on their phones using a free app called "myBeachCast." Users can see the latest on swim bans from the health department, as well as temperature, humidity, visibility and wind speed at the beach they're looking to visit. The app, created by the Great Lakes Commission, also has information for other beaches in the eight Great Lakes states. Health department officials said when water samples show a high bacteria count, swimmers should stay out of the water until the water quality is better to avoid getting sick.